Here's a great offer for the Qatar Airways Privilege Club program. When you join the program and complete your first flight you'll receive up to 10,000 bonus QMiles. What's even better is there is a fast track to elite status with this offer. 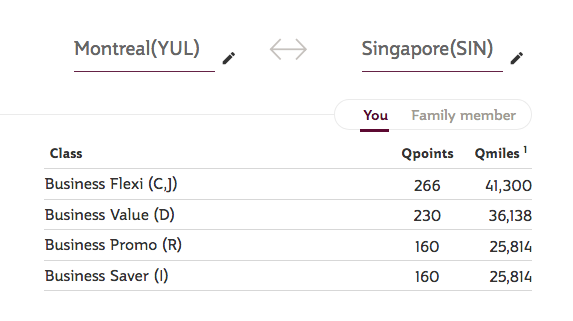 You could potentially receive Privilege Club Gold Elite status with just one return flight out of Montreal to places beyond Doha in business class! For example, YUL-SIN can earn up to 266 Qpoints! Find many more Privilege Club Bonus QMiles offers here!